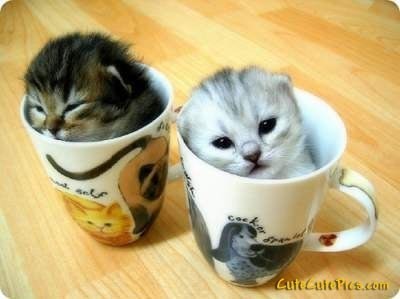 cuttest 小猫 ever. . Wallpaper and background images in the 小猫 club tagged: cute kittens. This 小猫 photo might contain 茶歇, 咖啡休息, and 咖啡. I have this exact picture,Aren't they the cutest things ever ? !